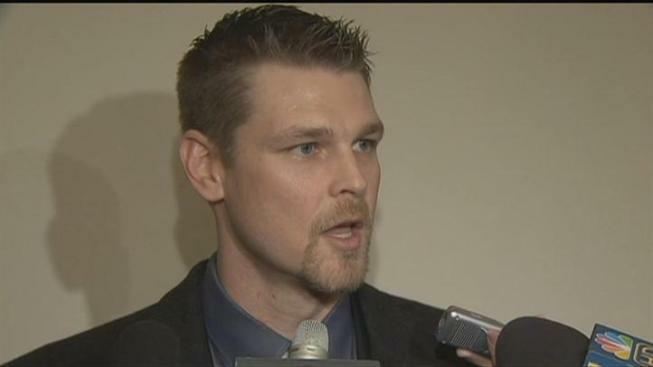 The Chicago Cubs on Friday announced they've resigned Kerry Wood to a one-year deal. "Yeah, it was kind of last minute, but we got it worked out," Wood told reporters at the 2012 Cubs Convention. The 34-year-old Wood went 3-5 with a 3.35 ERA in 55 relief appearances last year. He missed the end of the season because of a tear his left knee that needed arthroscopic surgery. Wood wanted to stay with the Cubs. He lives in Chicago year-round, and the team's new management had made it clear that it wanted him back. In 2012, Wood will become only the fourth pitcher in team history with 12 or more seasons with the franchise, joining Charlie Root (16 seasons), Guy Bush (12) and Rick Reuschel (12), the team said in a statement.